Tab Hunter, the actor best known for appearing in the 1950s' film Damn Yankees!, has died at the age of 86 on Sunday, July 8. Tab's longtime partner Allan Glaser told The Hollywood Reporter that he passed away from a heart attack caused by a blood clot in Santa Barbara, California. Tab Hunter Confidential Facebook page also actor announced his death on Monday, July 9. The post reads, "SAD NEWS: Tab passed away tonight three days shy of his 87th birthday. Please honor his memory by saying a prayer on his behalf. He would have liked that." 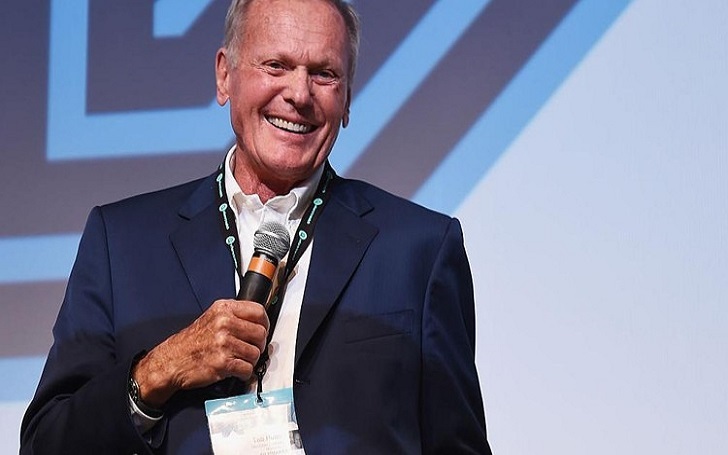 Tab Hunter Confidential is a memoir of himself which he released in 2005 and later developed into a documentary in 2015. In his documentary, Tab revealed that he had been a closeted gay man throughout his acting career, in addition to his studio-approved relationships with his female co-stars, including Natalie Wood that covered up his real-life affairs with men, like Anthony Perkins. Tab's death comes just a month after the announcement that the story of Tab's affair with Anthony was being made into a movie, Tab & Tony, starring Zachary Quinto, who will be producing the movie along with Allan Glaser, J.J. Abrams and publicist Neil Koenigsberg.